Hey! I am Graham, a computer engineer and self confessed technology geek from Gateshead. I love troubleshooting technical issues, bringing computers and laptops back from the dead, building bespoke PCs or laptops, website coding and most of all chocolate. 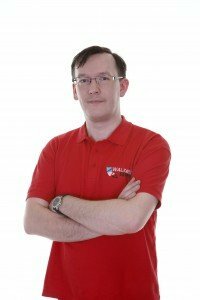 After spending all of my working life in corporate environments, working within leading technical and business support companies in the North East I decided to start my own computer support and repair business. Although the business in its early stages was tough I stuck at it and continued to provide excellent services and now support hundereds of end users at home and at work. I have over 17 years experience in dealing with many desktop, laptop and network related issues. I’ve provided 1st, 2nd and 3rd levels of technical support throughout my career, I’ve been able to use the skills and experience learned to serve my customers by providing phone support, web based remote access and 1-1 support and training.